When you live in the desert, almost every day is sunny. The sun shines in Las Vegas nearly 300 days each year. That’s why a majority of locals add window tinting to their cars and exterior shades to their homes to reduce heat and block UV rays. Whether you're sitting outside looking out at your yard or the mountains in the distance, the last thing you want is to have your view obstructed. Exterior shades provide maximum transparency while blocking glare. This allows you to enjoy the view of the outdoors without the sun beating down on you. Sometimes, you simply want to sit outside in privacy. That can be difficult to do in neighborhoods where homes are built right next to one another. ZipRite shades in a privacy fabric allow you to create a private outdoor living space, so you can enjoy the outdoors without disruption from neighbors. The sun's UV rays are not only harmful to your skin and eyes, but they can also seriously damage your furniture. In fact, anything exposed to the sun's rays is at risk, including indoor items such as pictures, paintings, walls, furniture, and even flooring. 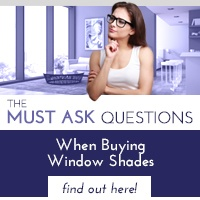 That's why it's important to have exterior shades installed. They'll block the UV rays from your patio furniture – as well as your interior décor – and help mitigate fading. 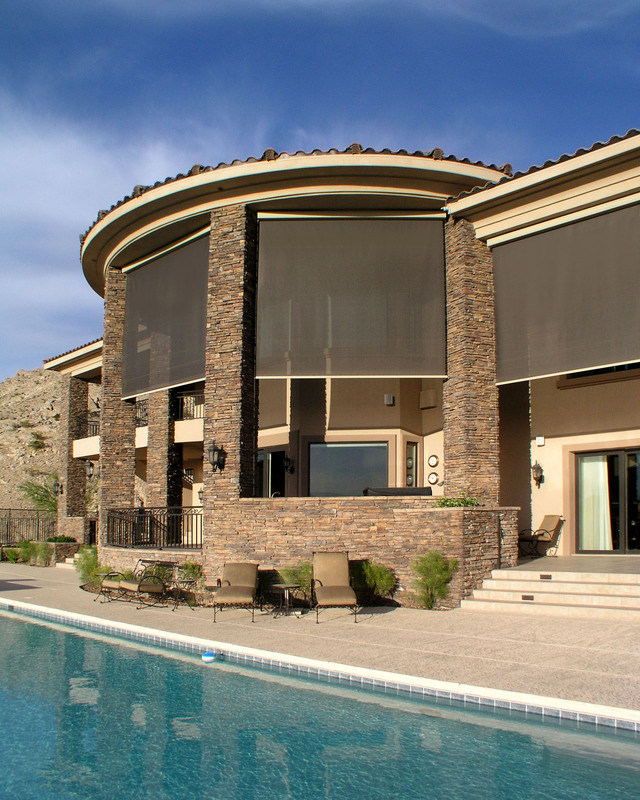 Exterior shades are engineered to be incredibly convenient. They are offered in various sizes to accommodate even the largest outdoor space. These shades can also be motorized, so you'll be able to easily raise and lower them whenever you want. 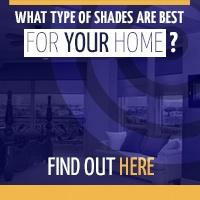 In addition to being functional, exterior shades are quite stylish. 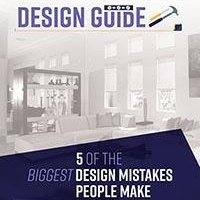 They come in many different patterns, colors and fabrics to accentuate your home's architecture and design. 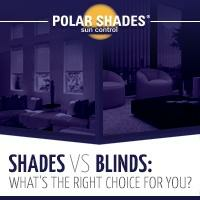 Polar Shades offers a variety of exterior shades to help keep your patio sun-free and your home cooler. Contact us today at 877-260-6110 for more information or to schedule your free in-home consultation.